Don't get stuck on the side of the road. 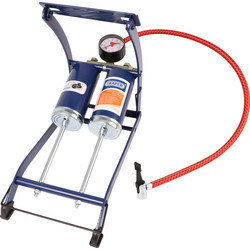 Make sure tyres have the correct amount of pressure and are always road-safe with our range of tyre inflators and air compressors. 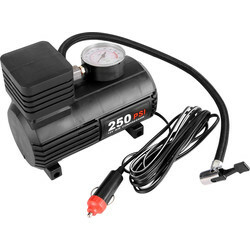 We have a variety of tyre inflators and tyre puncture repair kits from popular brands including Streetwize and Ring. 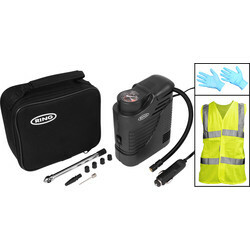 Our popular Ring tyre maintenance kit comes complete with 4 spare tyre valve caps, a tyre pressure gauge, a 12V Ring tyre inflator and hi-viz jacket so you are easily visible even if you break down at night. 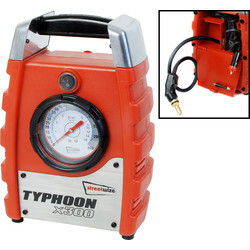 All the components of this essential tyre repair kit fit easily in its handy compact carry case. 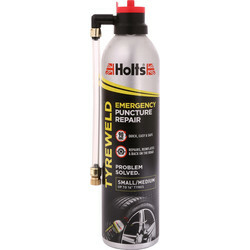 For emergency break downs, the Ring Tyre puncture repair sealant allows you to quickly repair vehicle tyres without tools. 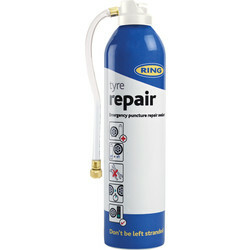 This easy to use tyre puncture sealant can be applied directly to the tyre to repair punctures and retain inflation. 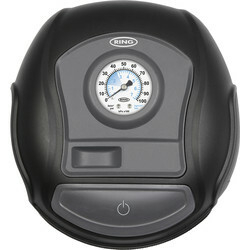 It is an essential part of vehicle maintenance to ensure tyres are the correct pressure. 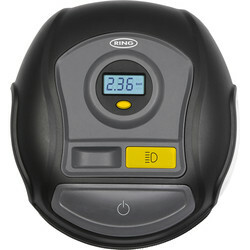 Not only do inflated tyres aid safe travel, they can improve a vehicles performance and cut down on fuel costs. 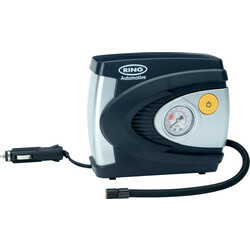 Keep tyres to the correct inflation level with a tyre inflator, such as the Ring analogue tyre inflator. 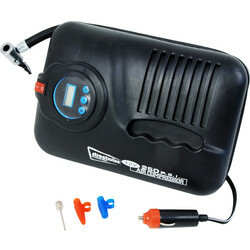 This convenient car tyre inflator can inflate a 132 tyre in under 4.5 minutes. 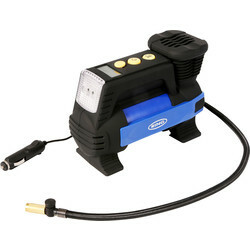 Simple to use, the 3m connector cable can be easily plugged into a vehicle cigarette lighter socket to activate. 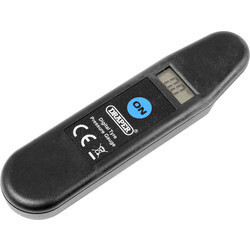 For an accurate pressure gauge reading, try the digital air compressor. 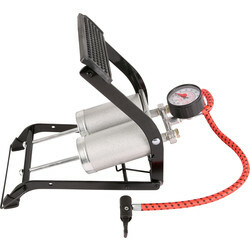 This Streetwize compressor will automatically cut of the when the required pressure has been reached. Click and collect from your closest Toolstation branch or spend over £10 online to receive free delivery.